People often struggle after starting a new job because their specific roles in the corporate structure may be vaguely explained. This is why many businesses establish a mentoring program; to help guide the new workers of the organizational culture code and help them meet the expectations of the job. Recent research from the Indiana University of Pennsylvania states that the roles of mentorship can greatly reduce role ambiguity in the work place; giving a new worker a chance to learn from an experienced person. This is why the mentor plays a key role in establishing the safety culture. Having an effective mindful safety mentor program can increase employee productivity and longevity within your organization. Being a mentor allows the person to recall their experiences and perhaps learn more from lessons they have been taught. This exercise can act as an accident prevention barrier. In addition, the act of sharing this information may give the mentor a boost in their motivation in learning about new safety rules and relearning material the new worker will need for their job. This creates a cycle of mindfulness as the mentor must be aware of their needs as well as the new worker’s needs in the workplace. At its core, mentorship is another form of leadership that focuses on the individual level. Like in leadership positions, mentors must choose their style of leadership i.e. coaching or using a more direct approach. Begin by determining who should be a mentor in your company. They must have a leader’s heart and show initiative in everything they do. The key element to a successful safety mentor is the mentor’s consistent interest in the new worker, as well as safety. Your company’s mentoring model must demonstrate how mentoring is valuable to your organization and why it is valuable for the mentor who volunteers their time. This means properly coaching the mentor on your company’s mentoring process and desired outcome. Conduct Review of Safety Mentor Activities. Some mentors may be more effective than others at getting employees to learn from them. This is why companies should periodically review how the mentor instructs the worker. 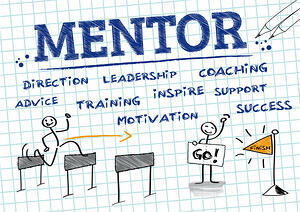 It may be necessary to coach the mentor on different mentoring approaches to get the desired result. Establish an Adequate Time Frame. The mentor must have an adequate time frame to help the new worker as well as working on their original tasks. There should be a formal end to the mentorship; it should not exceed a year, although the relationship may continue informally if the mentor and worker desire it too. Throughout each step an acute awareness, or mindfulness, must be taken in order to build an ideal mentoring model for your company. Once established, this approach can be applied to other aspects of your employee indoctrination program. If applied correctly it will have a positive impact throughout your organization.